This month for Storytelling Sunday, Sian is encouraging us to tell a story (in words or photos) with the theme "Too Cool for School." 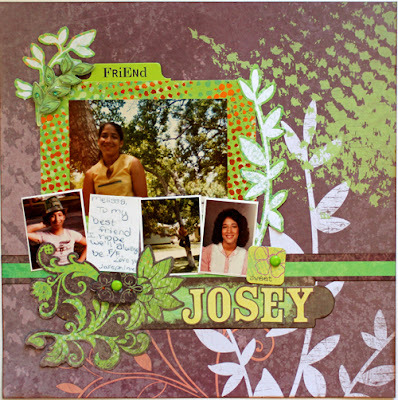 My story is about my friend Josephine, or Josey as we all called her. Josey and her mom and siblings lived across the street from my family during my middle school and high school years. She was a year ahead of me in school. She had an older sister and several younger brothers, so in essence we were both the middle child in our families. I enjoyed spending time with Josey in our neighborhood, but I'm embarrassed to admit that I was thought I was a little too cool for her at school. Even though we hung out at each other's homes and she rode to school with me a couple of years, we didn't hang out together at school. I was busy with my "real" friends, the ones who were more like me - involved in extra-curricular activities, enrolled in advanced level classes, driving to school in their own car (well, it was the family car really, but I got to drive most days! ), eating lunch off-campus. Josey had a pretty tough life. Her mom was single and raising five children and there was no money for any extras in her life. She wore mostly hand-me-down clothes, ate the free lunch at school, and was overshadowed by a very popular sister who left home as soon as she was able. Josey suffered from epilepsy which caused seizures and gave other kids a reason to avoid or make fun of her at times. But Josey had a winning personality and a beautiful smile. 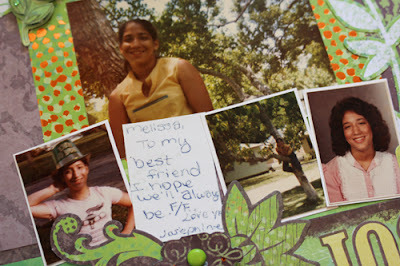 I don't think that I truly appreciated her friendship at that time in my life, but she obviously felt differently as you can see by this note she wrote on the back of her school photo. I don't remember the last time I saw Josey, maybe just a time or two after I graduated from high school. I occasionally heard some news of her and knew that the epilepsy continued to plague her into adulthood. And then I received word several years ago that she had passed away, and I paused to ask myself why I ever thought I was too cool to be her friend. I no longer have contact with any of those other "real friends" I wanted to spend my time with back in high school . 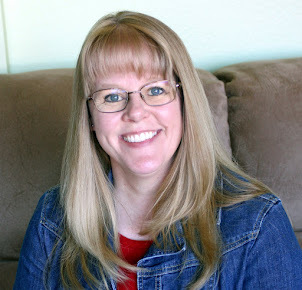 . . they were all too busy when my life fell apart after a painful divorce. I like to think Josey would have stood with me through it all - if only I hadn't been too cool to keep in touch! Your story has the kind of wisdom that only comes with age. Thank you for sharing. we all have regrets in life, I'm sure she always thought of you as a good friend. Josey sounds like a wonderful girl. And maybe you were more of a friend to her than you recall. What a sad story. Wouldn't it be wonderful if Josey was looking down from heaven (surely, that's where she went) and read your story? How happy that would make her. Josey sounds wonderful and I agree with Cheri, I think you were probably more of a friend to her than you remember. I think the others are right. I can't imagine you ever not being a good friend. Really. But your moving, honestly told story today has really stolen my heart - how perfectly you have reached in and pulled out one of those big school topics and got us all thinking about it. Thank you. ps - it's a beautiful page too. You did her proud! Thank you for this timely reminder that we should all take more care of our true friends. You were obviously very important to her and she was probably very thankful to have you in her life. 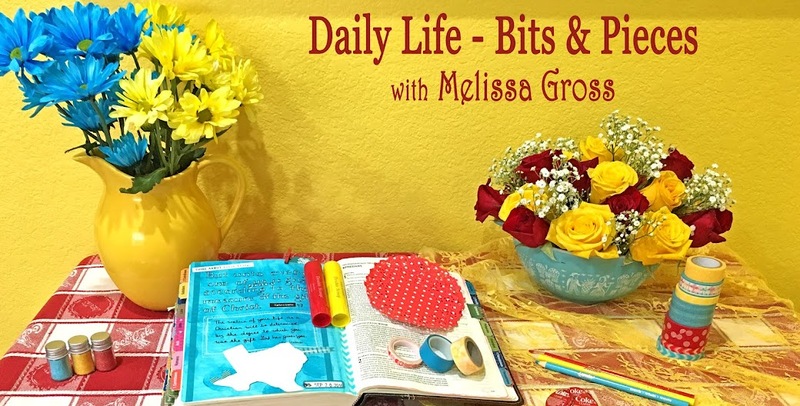 A sad, but very effective story Melissa, for which I am grateful. Gosh yes, there were certainly grades of friends at school, how horrid a part of it it is and well done you for giving it a place. A very honest,moving story...and I think I would echo what Cheri said. I'm with the others - I'd think that Josey thought of you as a friend, I'm sorry you have regrets. True friends do stay with you through painful bits. This is a gorgeous page - I like that you've shown the back of the photo with the note too. Melissa, Sometimes those that cherish us the most don't feel the slights we make of them. I know you treated Josey with kindness and it meant a great deal to her. It is a beautiful memorial to her that you've shared this story, created a beautiful layout and learned who our true friends are in life. I love this Melissa. It's such a lovely tribute. It's hard that the clarity we have as adults is only earned through the passage of time. Imagine what polished teenagers we would be if we knew then what we know now! I love this idea and have some people from my past that could be honored in much the same way. Thanks for the inspiration. Beautiful layout but I was more touched by your story behind it. I sure hope that you put this story with this layout! Very moving and thought provoking! Your willingness to be vulnerable may just touch others as well. Thanks so much for sharing. Great job! Very moving Melissa - I think lots of people compartmentalise their friends but you were obviously close in some ways even if the friendship didn't endure. #1, #5, #8 & I'm Done! !